Leigh Fitzgerald has been the Executive Director of Hawaii Technology Academy since December 2011. A true believer that there is a "right school for the right student at the right time in his or her academic career," Leigh is excited to grow HTA, the largest public charter school across Hawaii. 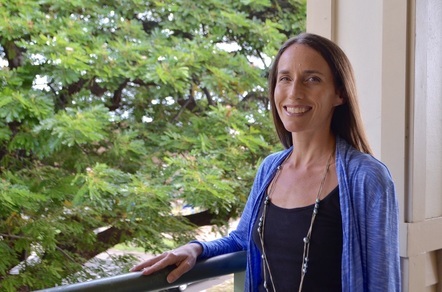 Leigh's experience as an educator includes teaching at Lahainaluna High School, serving as a teacher and Principal at Maui Preparatory Academy and serving as the Upper School Director at Wildwood School in Los Angeles California. Leigh holds a Bachelor's degree in American Civilization and Education from Brown University and a Master's degree from Harvard University in Administration, Planning and Social Policy. As Executive Director of a blended learning school serving students on five islands, Leigh travels daily throughout the state, monitoring and mentoring faculty and families on the integration of online content, face-to-face instruction and experiential learning activities to create HTA's version of the modern classroom. She is committed to creating partnerships between public, private and charter schools to share resources and best practices as they relate to a blended learning/community based approach to teaching and learning. She believes that it is our responsibility to increase educational options for every student in Hawaii by increasing communication, collaboration and innovation at all public, private and charter schools. Leigh resides on Maui with her husband and young daughter. Outside of school, Leigh enjoys traveling internationally, practicing yoga and any activity that has moving and exploring in the fresh air!